Have you heard of the Friday afternoon news dump? Well it’s being used in Minnesota. 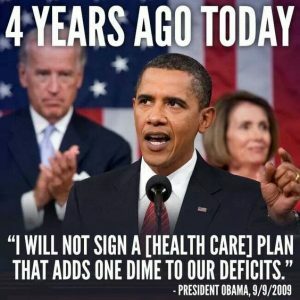 ObamaCare skyrockets in Minnesota – going up 60%! Minnesota Commerce Commissioner made the announcement that the state has approved health insurance premium increases for ObamaCare. These were approved in MNsure, which is the state of Minnesota’s ObamaCare exchange. One thing was 100% true about Rothman’s statement. It is that the only reason the rate is being increased is to keep the market from collapsing. On top of that, this is not the first time it has been raised in Minnesota. The attempt to force controlled healthcare on the United States is failing miserably. It is obvious that it is nearing its collapse not just in Minnesota, but all around the country. What do you think about ObamaCare? Is the collapse near? Let us know about it on Facebook. Why not Medicare for all, including the government employees. We should have the same insurance plan Congress gives itself. It’s just government insurance, it can’t be that bad.